The building is located in the heart of the City of Wayne Michigan. The suspended fan ceiling is in the part of the facility that is being totally upgraded. The part that is being upgraded is on the West side of the existing facility. 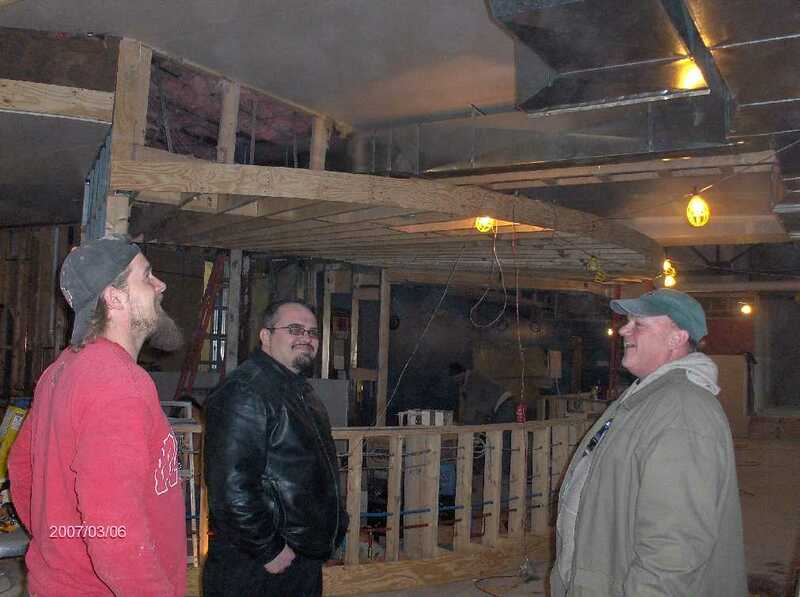 I was at the project site on Mar-06-2007 where I met with the City of Wayne Building Official, the owner of the facility, and the General Contractor for the project. 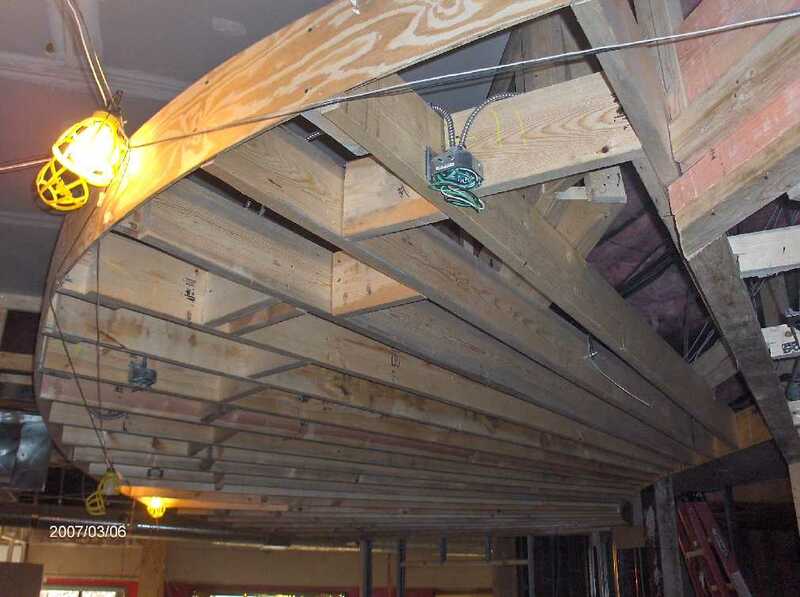 The suspended fan ceiling is framed in wood and is mostly hung from the roof structure overhead. There are two wooden bucks that are hung with metal straps from the roof structure. The ceiling rafters are in turn fastened to the wood bucks with hurricane hangers. I have also used two aircraft cable hangers fastened to the wood rafters at the front part of the suspended ceiling canopy. 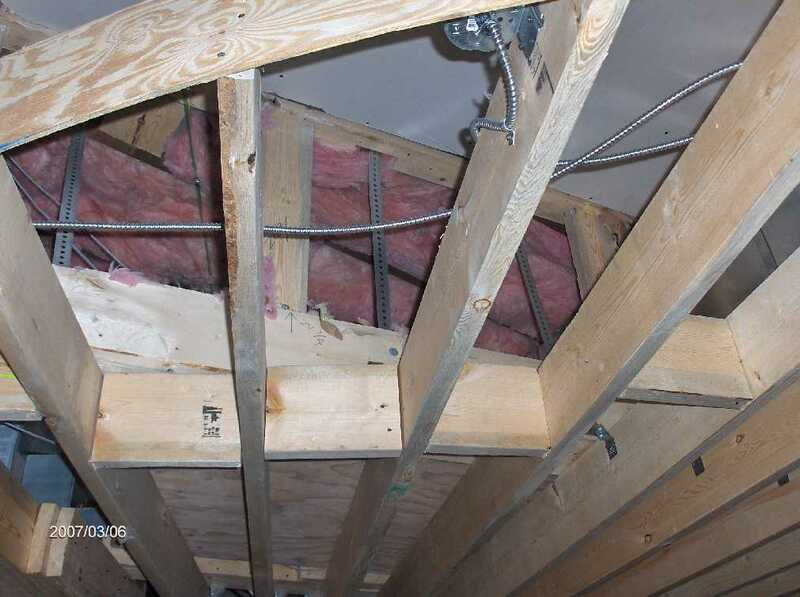 The soffit of the suspended fan ceiling and the facia will be drywalled. You will see the fan shape of the ceiling and the existing roof structure overhead in some of the pictures I am going to post. I submitted the structural design of the suspended fan ceiling to the Building Official yesterday, and today we got the go ahead so that further work on this part of the project can continue. The owner is anxious to get this beautiful ceiling completed for a sneak preview of the upgraded facility on Saint Patty's day. 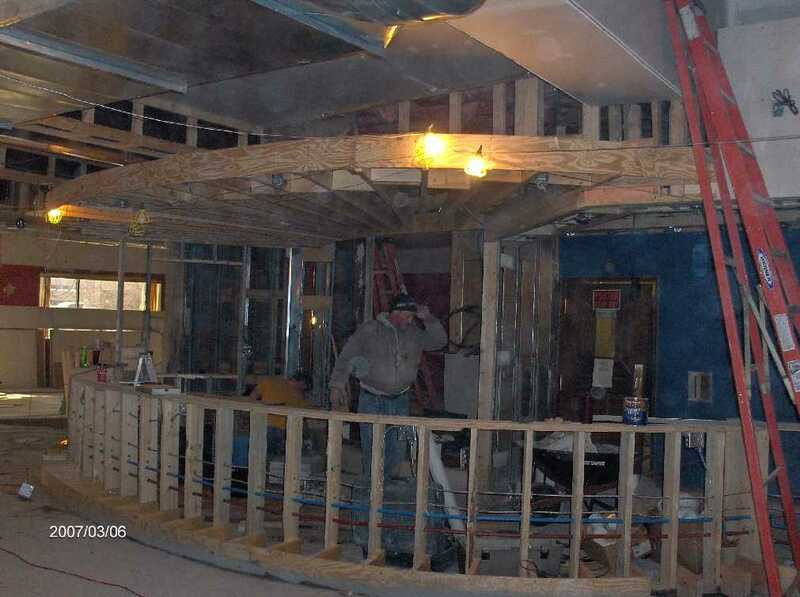 I am sure the General Contractor and his great crew are going to make that happen. Ah ... let us go ahead and look at some pictures that I took on Mar-06-2007. Here is a good shot of the suspended fan ceiling and the soffit of the roof structure overhead. Here we are looking at the wood rafters of the suspended fan ceiling. Looking at the suspended fan ceiling structure are part of the group of facilitators that are making it happen. 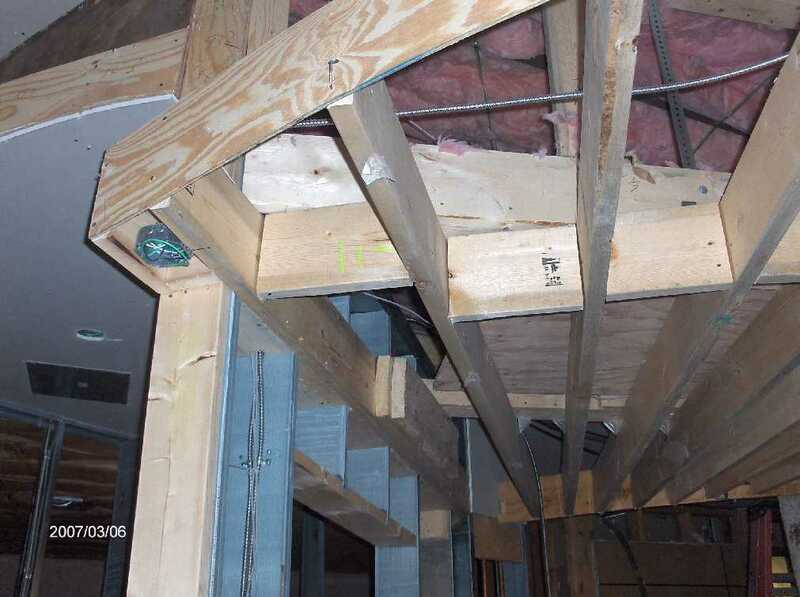 A closeup showing the bearing of the suspended ceiling on the wall at the South end.